I've never had much luck at the trots. Or with footy tipping for that matter. Until a few years ago that is, when I started using a different technique. I would look at the colour of the jockeys outfit, or the colours in a footy teams jumper, and pick the one that I thought looked the prettiest. And it has brought me some luck, so don't laugh. I won second place in my work footy tipping comp last year with this technique, and yes, the sweep did have more than two people. Sheesh. So what has this got to do with wine? You came here to read about the best places in Perth to enjoy the best wine in Perth, didn't you? Right. Well it appears I also use the same technique to choose my wine. Whenever I'm out at a nice restaurant or bar, I'm so clueless when it comes to wine. I will only ever ask for the house red or white because to me, all wine is the same. And frankly, I don't even know how to pronounce the different types. A savvy-nog what? A semi-long huh? Too many letters are silent, and I don't want to sound ignorant. 'House'. It's just simple. If I'm feeling a little adventurous, I'll point at the menu and say "That one please". and set my eyes upon a rather pretty label. And as luck would have it, the name was simple to say. 'Express Winemakers'. It was at this point, I had a 'halo moment'. This means I witnessed a bright light surrounding this particular wine, and atop was a perfect glowing halo. Just behind my ear, a choir of angels sang "Ahhh". It was beautiful. Even better, it was a riesling. I can pronouce that one. So here I was, sitting at Helvetica with a glass of Express Winemakers Riesling, feeling pretty good about things. It's a Friday afternoon, I've just knocked off work, and I'm at a swish bar, feeling every bit the over-worked city business women in need of a good drink. So I do the old swirl and sniff, something I've learnt from the many wine tours I have attended - or at least, those that I can remember. What hits me first up is a somewhat floral scent. I don't know wine but it sure smelt pretty. Now granted, on a Friday afternoon, most alcohol is going to taste amazing to any hard-working individual, but with my first sip, I had myself another 'halo moment', even more spectacular than the first. What you get with an Express Winemakers Riesling is a real fruit bowl of flavours. Mostly citrus, with hints of pear and apple in there. And it's long lasting. How had I possibly missed this on previous bar-hopping journeys? Were there other blends in existence? I had to know more. Thankfully, there is this wonderful thing called the Internet. It's actually pretty handy. 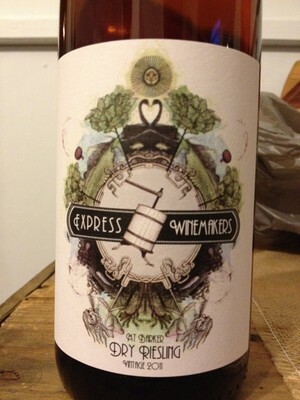 So I Googled Express Winemakers and found out a little more. And it's really a sweet tale. Two local young men, Ryan and Pedro, who met whilst studying Winemaking at Curtin University, were bored with how predictable and bland wine was getting. So after graduating, they set off on a world wine journey, tasting, learning and experiencing. It was then that they realised the wine being produced back home just wasn't on par. So, being true to themselves, they aspired to produce a wine that would stand out from the pack. 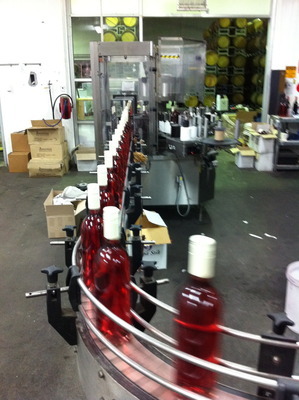 The heart and soul that was put in from then on lead to Express Winemakers. And completely explains my almost god like experience in Helvetica that day. At this point, the riesling is only available from Helvetica, but there are many other places around Perth that stock the Express Winemakers Rosado. I have to say, I was happy upon learning of the places that stock Express Winemakers, because they're some of the best restaurants and bars you will get to in Perth and W.A. My senses are clearly working a treat. This isn't the last you'll hear of Express Winemakers, as they have a few more tricks up their sleeves, like the soon to be released Tempranillo. Keep an eye out on their website, or like them on Facebook. Lastly, if for some reason you can't make it to any of these places as you have not yet purchased a teleporter, you can still give it a try by placing an order on their website here.